On 19 October B.E. 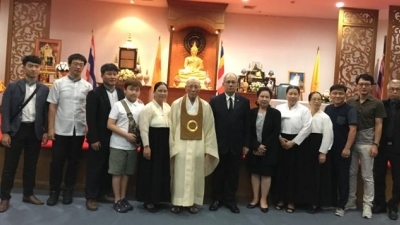 2560 (2017) former Prime Dharma Master Emeritus, the Most Venerable Chwasan Nim, and his group from Won-Buddhism (a Regional Centre of The WFB in South Korea) visited The WFB Headquarters. 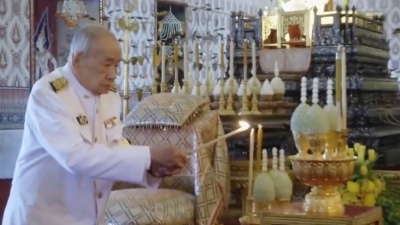 The WFB Headquarters, its Regional Centres and networking organization hosted the merit making dedicated to the Late His Majesty King Bhumibol Adulyadej on 21 September B.E. 2560 (2017). 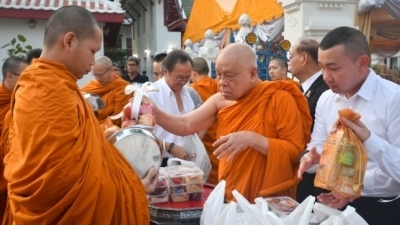 Representative of The WFB Headquarters, Rear Admiral Isara Yimpanich, Assistant Secretary-General, had joined in alms offering at Wat Bavornnivet Vihara, Bangkok for merit making on the 1st anniversary of the passing of His Majesty King Bhumibol Adulyadej (Rama IX), who was the patron of The WFB. 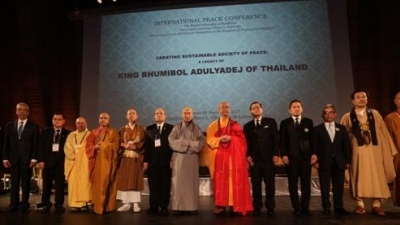 The conference is organized by The World Fellowship of Buddhists (The WFB) and Permanent Delegation of Thailand to UNESCO with the cooperation of Pure Land Learning College Association Inc. and the World Buddhist University. Several distinguished guests and speakers including The WFB family from People’s Republic of China, Australia, Japan, Korea, Malaysia, Nepal, U.S.A. and Thailand had paid tribute to the Late King in this regard namely H.E. Irina Bokova (Director General of UNESCO), H.E. Michael Worbs (Chairperson of Executive Board of UNESCO), and H.E. Sihasak Phuangketkaeow (Thai Permanent Delegate to the UNESCO). 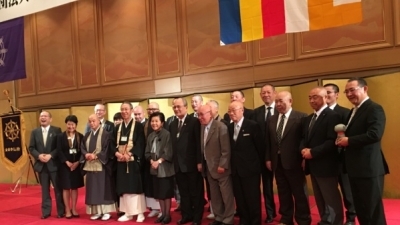 Japan Buddhist Federation (JBF) hosted the 90th WFB Executive Council Meeting (EXCO) in conjunction with Celebration of the 60th Anniversary of JBF (sole Regional Centre of The WFB in Japan) in Fukushima, Japan. The EXCO Members and group were impressed by hospitality and warmth welcome from personnel of JBF. Moreover, Vice-President and Secretary-General of The WFB, Mr. Phallop Thaiarry, also read congratulatory message from H.E. Phan Wannamethee, President of The WFB at the celebration. EXCO Members and all participants were impressed of and enjoyed the celebration. H.E. 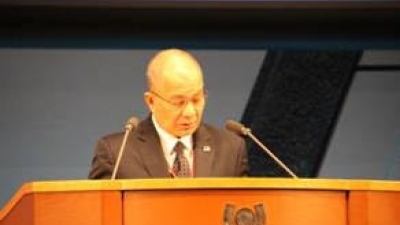 Phan Wannamethee had assigned Mr. Phallop Thaiarry, Vice-President and Secretary-General of The WFB participated at the 30th Anniversary of the Religious Summit Meeting on Mt. Hiei, the Gathering of Prayer for World Peace, in Japan during 3-4 August B.E. 2560 (2017) of which he also read congratulatory message from President of The WFB. 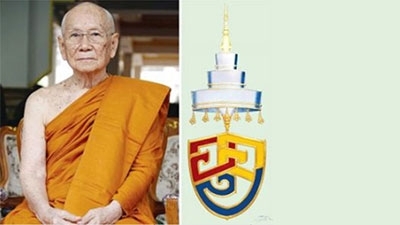 H.M. King Maha Vajiralongkorn Bodindradebayavarangkun has appointed Somdej Phra Maha Munivongse, Abbot of Ratchabophit Sathitmahasimaram Temple in Bangkok, to be the 20th Supreme Patriarch of The Royal Kingdom of Thailand with the title of His Holiness Somdej Phra Ariyawongsakhatayan (Amporn Ampharo). 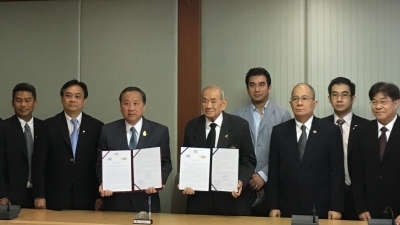 On 4 February B.E.2560 (2017) The World Fellowship of Buddhists (WFB), the World Fellowship of Buddhist Youth (WFBY), and Sirindhornrajavidyalai Foundation under Royal Patronage had signed a Memorandum of Understanding with Lord Buddha Musuem of Debsirindrawas Ratchaworavihara Temple, Thailand on dissemination of Buddhism ‘Cultivating Ethics into Humankind’. This will enable Buddhism be propagated more worldwide. 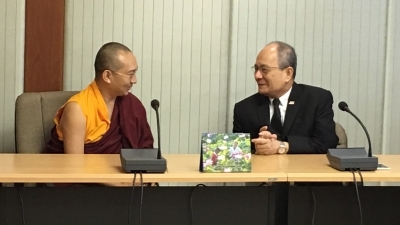 Venerable Master Khangser Rinpoche, Spiritual Leader of Dipankara Buddhist Organization led the group of 20 organization members from Taiwan and Vietnam visited The WFB Headquarters on 31 January B.E. 2560 (2017) of which Mr. Phallop Thaiarry, Secretary-General of The WFB had welcomed them. They also discussed about intention to work together for promoting Teaching of the Lord Buddha, peace and happiness of mankind. Since early December B.E. 2559 (2016) heavy rains and flash floods wreak havoc to thousands families, farmland, roads and cut off communication in most areas. 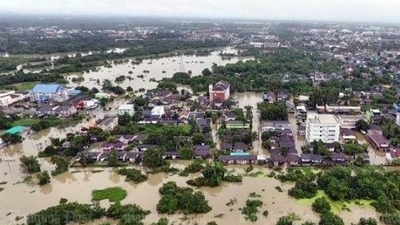 Floods had expanded in many areas of Nakhorn Si Thammarat, Songkhla, Surat Thani, Yala, Trang, Narathiwat and Phatthalung. The water level in some municipality was about 40-100 cm high making impassable for vehicles. Although the Royal Government of Thailand and provincial authorities had evacuated people to the safer zone, life necessities are needed.